Eight factions battle for supremacy in this deeply tactical card game. 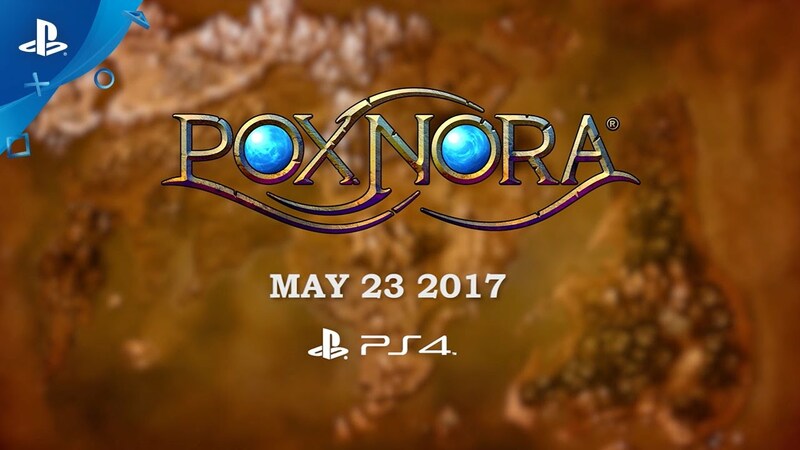 Pox Nora, the strategy game with collectible card and fantasy RPG elements, will arrive May 23 on PS4. To celebrate the console debut, Desert Owl Games will simultaneously deliver exclusive content to the PlayStation community and support cross-platform play between PC, Mac, and PS4. 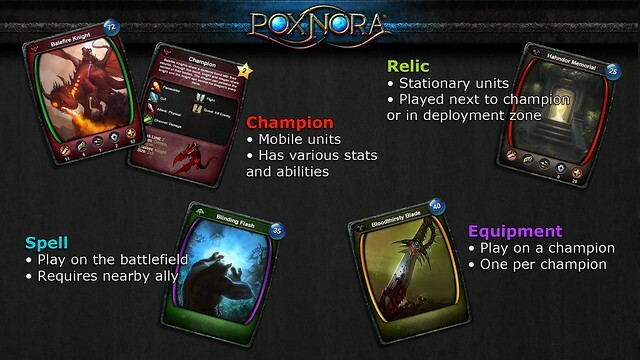 In Pox Nora, players command Champions who battle across a battlefield where tactical thinking and strategic movements are necessary. The goal is to destroy your opponent’s shrine while capturing Nora fonts, which provide more resources and act as new spawn points for your Champions. But there’s a twist: each Champion is one of more than 2,700 you can collect and choose from when building your deck before each match. To celebrate the console debut, Desert Owl is giving PS4 players an exclusive pack of eight unique versions of venerable Pox Nora hero characters, while PlayStation Plus subscribers will receive exclusive versions of eight Pox Nora Angels, a collection of extremely powerful cards. PC players wanting to make the switch to PS4 can easily copy their data. Whether your friends are playing on PS4, PC, or Mac, cross play is supported. 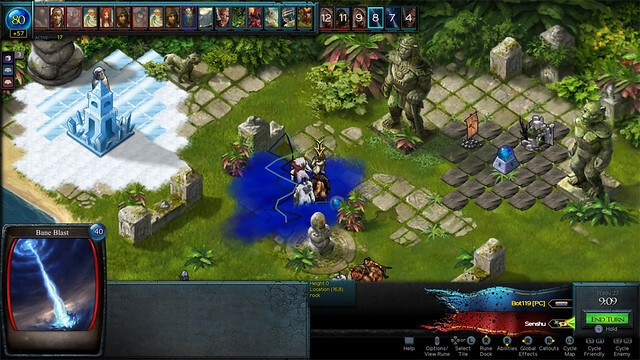 Players can take their deck of Runes (cards) and go on an adventure against other players or AI in the many single-player campaigns, skirmishes, and multiplayer matches. What’s the goal of Pox Nora? In Pox Nora, your goal is to defeat the opponent’s shrine before they can destroy yours. 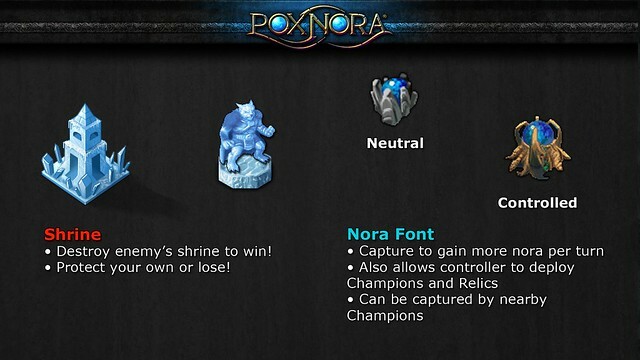 Each turn you will earn “Nora,” the resource with which you will use to deploy runes and help you achieve your goal. Runes are the “cards” of your deck. Runes come in 8 different factions and each deck consists of exactly 30 runes (either 30 from one faction or 15 from two factions). Runes come in four different types, each with their own uses and characteristics. Factions are the major parties of the Pox Nora world. Each faction has its own strengths and weaknesses. Factions have traditional fantasy races, as well as some that are unique to Pox Nora. It is recommended you try a few factions before you decide to settle on a favorite, and most veterans play multiple factions! That’s great! But how do I get runes? When you first launch the game, you will be provided with a free deck. Be sure to complete the Faction Training Missions to earn 8 additional decks. 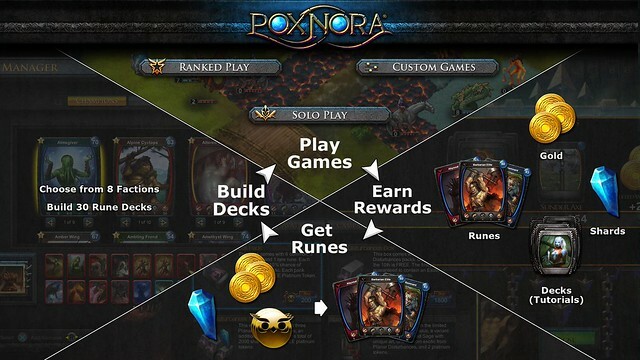 As you play Pox Nora you will earn runes, as well as Gold and Shards. 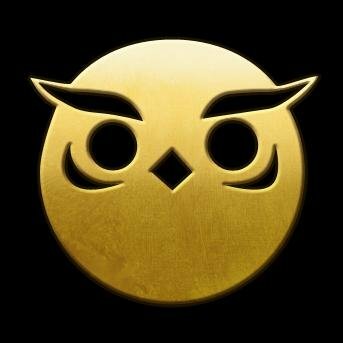 Gold is used to redeem for packs, avatars, and other goodies. Shards can be used to create runes directly. You can sacrifice most excess runes earned for additional Shards to create your own runes. Those are the basics! Pox Nora is a game with dynamic depth and tons to explore. If you get stuck or have questions, don’t hesitate to reach out to the community through our official forums. See all of you on the battlefield May 23! This sounds super fun. Will it have a platinum trophy? Great question! Yes, this free to play game will have a Platinum Trophy, but it’s not going to be easy to get. You will definitely need to put in some effort to earn them all. I don’t suppose that this is going to be a free to play game? It has my interest, but I’m rather sick of seeing freemium style games with an added initial pricetag on top of the micro-transactions. This is a rather greedy trend that I’m personally tired of seeing. Looks like it’s been out on PC a while and it is free to play. Most of the reviews looks pretty positive though, maybe I’ll check it out anyway. The game will be completely free to download and play. The majority of the game content can be earned for free just by playing. You will need an internet connection, but PS Plus is not required to be able to play. Thank you for the response! If that’s the case, I will definitely give it a shot and consider sticking with the game! So it this pay to win, like are there cards only available with money or can a f2p player access every card over time? We work very hard not to have pay-to-win situations in Pox Nora. There is virtually no content that cannot be acquired just by playing. The only exception is the latest expansion, only available for with paid currency. However, when the next expansion is released, the previous one will be available via free currency. We also have limited edition versions of existing cards with unique visuals, but in terms of abilities and stats, they are the same as the originals. This is why we have been around for so long, with an extremely dedicated community http://www.poxnora.com. Example; Like if you want an extra slot for your deck of cards or character loadout it gonna cost you…free can only take you so far, but it also never hurts to give this game a try. Another card game, hopefully this one will last longer than a year before they pull the plug like the others. Never spend money on these F2P. All just a quick cash grab unless its backed by AAA publishers. I have played Poxnora for almost 9 years now. So its not just a “quick cash grab”. Back when I started though it was really a P2W game, but when Octopi (old devs of the game) took control of the game after Sony’s disappointing era, they have improved the F2P aspect enormously. For all those asking, just thought i would provide a few details myself since i have played this game for a long time. 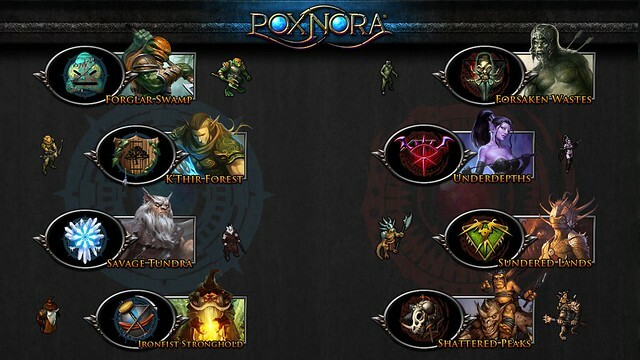 Poxnora is a free to download and play game, in the past $ were required in order to acquire runes at all but over the last 2 years or so the fantastic team that has been in charge of development has done terrific work in order to make it easy to acquire runes without spending money so yes it is an option in order to gain runes faster but in no way can $ get you an advantage that simply playing the game can’t. There are 8 different factions which all have their own large varieties of sub-themes you can play as a deck or alternatively you can just run all the runes you like there is no penalty for that but you have to have either 15 from 2 different factions or 30 from 1. What about the PSVita is it releasing as well and will we be able to play it on PSTV? I have been waiting for this game for some time and unfortunately i don’t have a PS4. Word what happened to the Vita I know it was announced in conjunction. On twitter they confirmed that the PS Vita version is coming at a later time since it needs further optimization. Over the years i’ve searched for any game matching depth and complexity of poxnora and not one has come close. With thousands of runes and tons of themes to build your “battle group” which is basically your in game deck, the game has endless amounts of different ways to play. Addressing the pay to win model: The game used to be entirely pay to win and i’ll be the first to admit that, however that was years ago. Now you can create every single rune in the game up to the latest expansion with shards, and buy tons of packs with gold. Shards: These you can earn by competing in ranked play, on top of receiving runes from the latest expansion for playing ranked. Gold: Gold is used to purchase packs and earned easily through daily quests and heroic achievements which are every two weeks but offer massive rewards like gold and shards. As far as races go and mythical creatures here is a few everyone knows and a few unique to poxnora. Elves, dwarves, zombies, skeletons, demons, dragons to name a few. As for the community and devs, the community is wonderful, and the devs are some of the hardest working people that actually listen to their community. So im a long time Pox player and im happy to see its going to PS4. As for the benefits and the runes we qill be receiving, will these runes be tradeable or will they be account-locked like the beta decks we received for playing the beginner faction campaigns?